In The last few posts I described how my collages about Lake Mungo, The Pink Lakes, Anbangbang Billabong and Ubirr Rock were constructed. 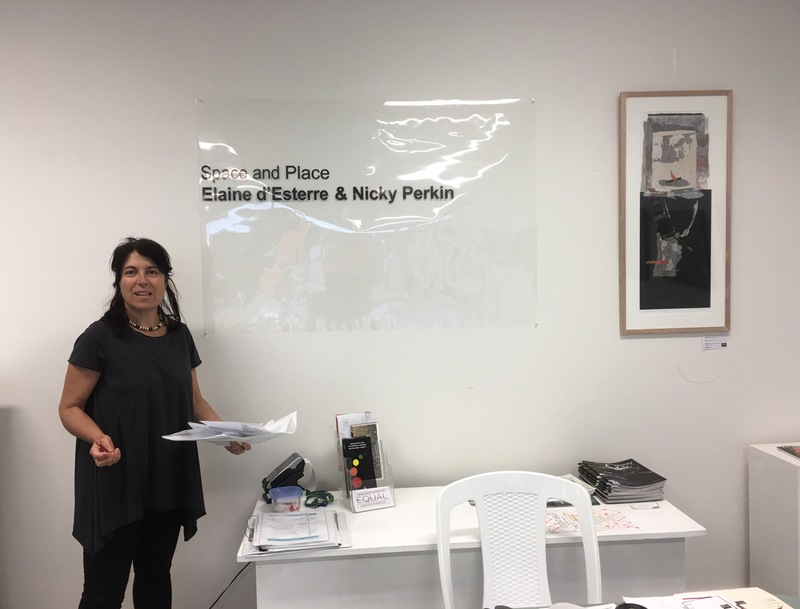 Now they are part of an exhibition at The Art Space, Anglesea, Victoria titled ‘Space and Place : Elaine d’Esterre & Nicky Perkin’. Sally Groom as curator has arranged the oil paintings and prints in a way that emphasises the topic. Insightful analysis of our artwork is a helpful to the viewer. 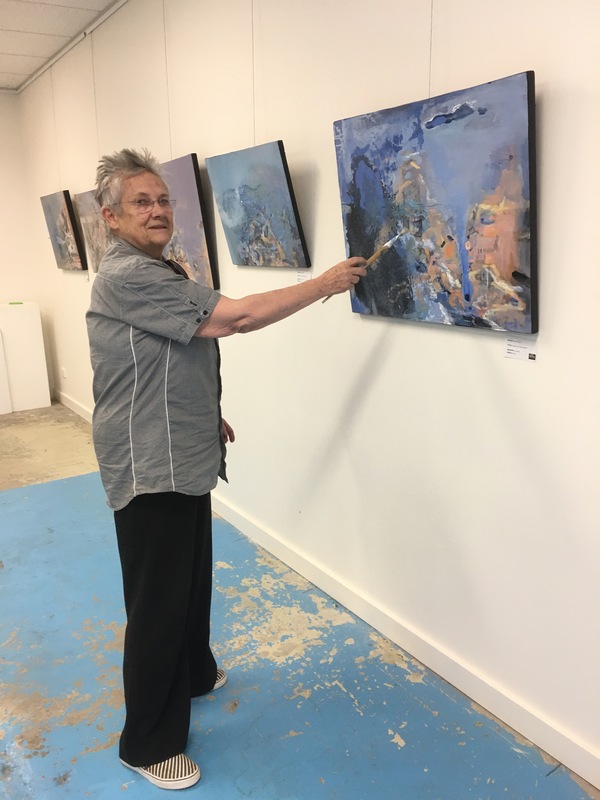 The last touch to Evaporation at Lake Mungo 3, before Opening night on 11th April between 5 – 7 with live music – guitarist Gavin Cross. However we are open this weekend and Monday so come and preview the artwork and have a chat with the artists at all times . An additional Meeting the artists session is programmed for 15th April 4-6.